"In lieu of hitting balls and stretching for 45 minutes prior to the golf round, 5 Minutes to Tee-Time is the next best thing! In today's busy world, not many have the time of a touring professional. Implement 5 Minutes to Tee-Time, you won't be disappointed." "Unfortunately, I am the type of golfer who shows up at the course with just enough time to change my shoes and get to the tee. It's been a huge asset to my game having a road map to make sure I get to the first tee loose and prepared given the minimal amount of time I typically give myself. 5 Minutes to Tee-Time prepares me physically to handle the first few holes, rather than hoping to "hold on" while loosening up on the fly. I've seen many golf products being in the business, I like what 5 Minutes to Tee-Time does for me, I'm confident it can assist you as well." "I've been using 5 Minutes to Tee-Time for a few years now with all of my students (various handicaps and ability). As the manual highlights, it gives ALL golfers an opportunity to hit the ball solidly from the 1st tee, the specific movements set up the golf swing." "I'm not only an avid golfer, I've also been in the golf industry for 20 years as a Manufacturers Representative. I have seen many golf products come and go. It is hard to think of any idea that is so effective and well priced as 5 Minutes to Tee-Time. The concept is sound, and from personal experience, I can tell you it works. I would highly recommend 5 Minutes to Tee-Time to all golfers of any skill level. 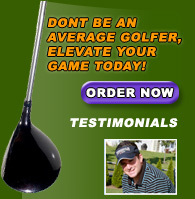 It will improve your game and most importantly your score!" PHILADELPHIA, Pa. (March 11, 2009) - 5 Minutes to Tee-Time TM (Golf's #1 Pre-Round Warm-Up), a product developed for today's time-stressed golfer, has been selected as Product of the Month for March by the GolfTalk Live radio show. The 5 Minutes to Tee-Time program is being displayed on the home page of the www.golftalklive.net website for the entire month of March. 5 Minutes to Tee-Time TM was developed by Michael Bruno of Blue Bell, Pennsylvania and will be featured during an interview segment of the GolfTalk Live radio show on WNTP 990-AM in Philadelphia on Saturday, March 28. In the interview, Bruno explains how he came up with the idea for an express version of a pre-golf warm-up routine and how it has been received throughout the golf world. The GolfTalk Live radio show, hosted by Tony Leodora, is the award-winning weekly radio show that was named No. 1 Golf Radio Show in America by the International Network of Golf at the PGA Merchandise Show in January of 2008. The show airs 52 weeks a year from 7 to 8 a.m. each Saturday on WNTP 990-AM and on www.wntp.com, GolfTalk Live also can be heard for one week following each show on its official website, www.golftalklive.net. 5 Minutes to Better Golf! For every golfer who ever has rushed to the first tee ice cold and started his/her round with a couple of big numbers, there is now a quick-fiix solution. 5 Minutes to Tee-Time has organized a program of stretching and golf-specific movements anyone can complete in just five minutes, preparing them for a successful start. Sold as a travel-sized brochure and supplemental bag tag on 5minutestotee-time.com, the exercises are coordinated to target all the specific muscle groups used for swinging a golf club, and finishes with 10 full swings. "I'm catering to the guy who doesn't have an hour for the driving range before a round," Mike Bruno, developer of the system, told The Post's Brett Cyrgalis. "That's most people I know that play golf. "Bruno first came up with the idea more than 10 years ago, but recently has re-launched the business after suffering too many bad starts while playing in corporate foursomes. "Everyone's got five minutes," Bruno said. "Starting par-par is a lot better, psychologically, than starting double bogey-bogey." We are all guilty of it at some point. After the exchange of flip flops for FootJoys, we dutifully check in at the clubhouse and some of us actually make it to the putting green. After a cup of Jo and a little trash-talking, it’s off to the first tee. But wait. Was there something else? According to Michael Bruno, yes there is. And it’s a huge reason golfer’s ‘give away’ shots in the first few holes of round. The average golfer (that’s you and I), are ill-prepared for those first few crucial swings needed to set the tone for a solid round of golf. Our bodies, the vehicles of our golf swings, are not yet tuned up and ready for action. Too often, we head out on the course ‘cold’ and rob ourselves of the opportunity to achieve any kind of consistency or rhythm in our golf swings. Bruno’s solution to this epidemic lasts but just five minutes. Bruno has created a golfer’s stretching program called 5 Minutes to Tee-Time™. Over a decade old, this concept was tested out regionally with local players and golf pros. After years of feedback and fine tuning, 5 Minutes To Tee-Time™ has been getting rave reviews from both golf and fitness professionals. The premise is simple. We all know that most of us fail to allot the necessary time to properly stretch and warm up prior to teeing off. That’s a given. What Bruno has accomplished, with just five minutes of your time, is a simple, easy-to-use stretching program that anyone can do to physically, and mentally I might add, prepare themselves for those first crucial golf shots and keep loose throughout the round. We recently were sent the 5 Minutes to Tee-Time manual and bag tag. At first we were thinking it was just another way to spend some money. We decided to follow the instructions and do the exercises as described to see if the manual was really as good as the claims. Well, we must admit we found the manual to be a great tool for preparing for a round of golf. Our thought is that it does not matter how much time you have, you will feel much better before you tee off if you perform the exercises as described. Don't just go through the motions, hold the stretch positions for as long as indicated. We have also started doing the exercises when rising in the AM, they are a great way to start the day, even if we are not going to be playing. The included bag tag is a handy tool to attach to your golf bag. It reminds you of all the exercises with out having to carry the manual with you. Our conclusion is that you should definately get and use the 5 Minutes to Tee-Time program. It is simple and effective. There’s a multitude of golf advice out there on how to improve your game and reduce that handicap. Most of it concentrates on the mechanics of the game and in particular the actual mechanics of the golf swing. Did you know, however, that there is a way to dramatically improve your game before you even step onto the fairway? Think about this. Do you generally feel that you swing better and get more accurate after the first few holes? There’s a reason for this and it’s called fitness and conditioning. Take a good look at your golf scores and you will generally see that your scores will be a few strokes better on the later holes than on the first few. This general “warming up” is therefore costing you several strokes in each and every game. This means that you could probably improve your score by at least one shot on each of these early holes. The way to improve this is to make sure that you are properly prepared by warming up in a safe and effective manner. The most effective method is one that prepares those parts of the body which contribute most to the golf swing. This means carrying out a series of flexibility and conditioning exercises which provide the quality of movement required. One such exercise routine is the “5 Minutes to Tee-Time” and it will prepare you correctly and ensure that you are completely ready from the very first tee. It has the great advantage that it does not take much time and therefore you can be on the golf course without spending hours driving balls on the practice range. Think about the difference this could make. Take, say, 10 strokes, off your round and think about the difference this would make to your game. From being an average golfer, you will become a good golfer. This will also improve your general confidence. The exercise routine was specifically developed for golfers and users have seen very impressive results. Your swing is prepared and becomes fluid well before stepping up to the tee. It will also become much more consistent. The routine is separated into four components; upper body, mid-torso, lower body and the functional swing. These components are carefully prepared by following a specific sequence. Full colour pictures show each step in turn and also demonstrates the correct way the exercise should be performed. The routine also has fully detailed instructions.